Most luxurious option will be to fly Singapore Airlines, who fly to Brunei from various Indian cities via Changi hub in Singapore. You travel in style with SQs full service that includes bag, meals and other facilities and timings are fairly convenient too. But SQ fare would set you back by about 40k INR one way or roughly 75-80k return, which is bit too much for price sensitive passengers. May be a bit cheap if India leg is silk air. Malaysia Airline is next best option, supposed to be cheaper than SQ, but will always be more expensive than low cost Air Asia. AirAsia round trip ticket can cost you about 20-25k under normal fares, may be 15k or less if you manage to grab some cheap fares during big sale. My round trip ticket was 7800 per person, but that was booked in 2017 and I don't know if we will ever see such ultra low fares again. AirAsia fare won't include bag and meals, factor an additional 5k to 10k for the same if you need it. 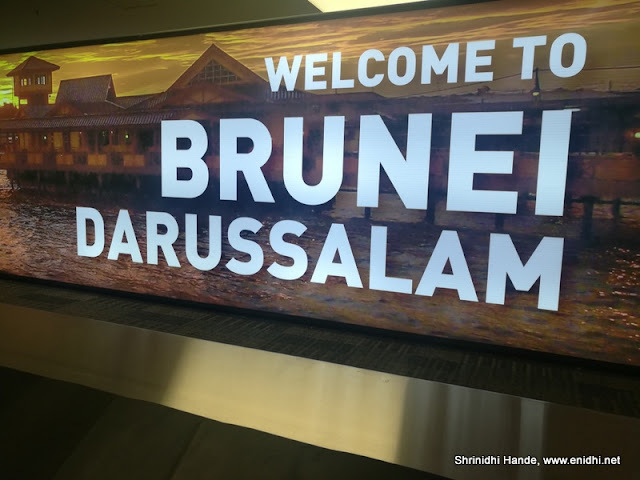 If you're not keen on making an exclusive trip, your best option will be to fly to Brunei on Royal Brunei Airlines, from any of the cities they fly directly to- such as Singapore, Manila, Dubai, Yangon, Melbourne, Brisbane and so on. When you're based in/visiting these cities and have a few days to spare, you can consider a trip to Brunei. But be advised Royal Brunei Airways tickets won't be cheap. Entering by Road via Kota Kinabalu or Miri (both Malaysian territories) is an option but may not be viable unless you've a Malayisan identity.